I fail on the right servings of fruits and veggies!! Along with everything you listed above (minus the ice skating). Ah yes the fruits and veggies! That’s what they make multivitamins for right? My kid learned to use the ipad on his own to watch netflix. I’m not sure if that’s a win or a fail for me! When it comes to my toddler – same with the teeth. And same with the veggies. Oh, and my child never eats meat. Also? With my baby, I drink caffeine and wine while breastfeeding. I let my toddler watch TV in the morning AND at the end of the day. And my 7 month old sometimes “watches” TV with her sister, too. The list could go on and on and on… Mommy FAIL! I love it! Keep it coming ladies!! 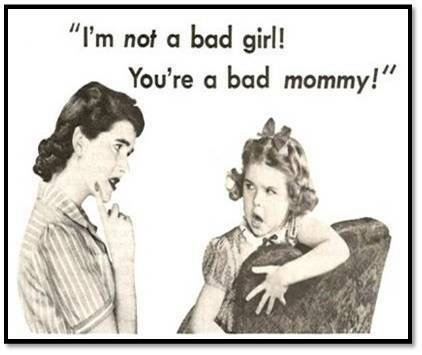 Having raised two daughters primarily on my own since they were 4 and 7, I have a laundry list of “bad mommy” behaviour and now that they are young adults, I’m sure they can add to the list. However, I am a firm believer that unless you have walked a mile in my shoes, don’t judge me. When I was raising my kids we didn’t have facebook or any other social media to discuss or air our secrets and at times, I felt I was the only “bad parent”. Truth be told, although there are many, many books on child-rearing, there are no hard and fast rules on what will work or not work. So ladies, just do the best you can and love them with all your hearts. After all, we turned out okay. Sorry for the late reply, but YES! Totally agree!